While on my travails, I’m always on the look out for something interesting, something off beat, something that doesn’t come to you often when you walk around in familiar environments! If you are the one with a penchant for newer experiences, you always have that sheer urge of falling in love with a lot more than the surroundings or a gleaming opportunity to see newer places and log them in your diary of an encompassing journey that you’ll leave behind as your own legacy. Sometimes, I even dare to imagine to look beyond just the ordinary, beyond what is seen or talked about, and many a times, I feel inspired by small joys of travel and the simple things that it teaches you and how it broadens your horizon. I have spoken about this often, maybe not enough, but certainly enough number of times where I have talked about the interesting people I meet on my travels. And being a Wandering Thinker, Pondering Writer that I am, I always wonder, how is it that I get to meet these interesting people or why I bump into them so very often. The answer to that is very simple I believe. It is because of a connection that we all humans share. No matter what levels or degrees of separation are among us, all of us have a desire to know and connect in some little way or the other. For me, one such thing is Art! Being an aspiring writer, I always try to look for experiences that drive the philosophy of ‘Art imitating life.’ I seek out to look beyond the ordinary, only for that very simplistic, yet resonating belief and feel it is always inherent within most explorers. 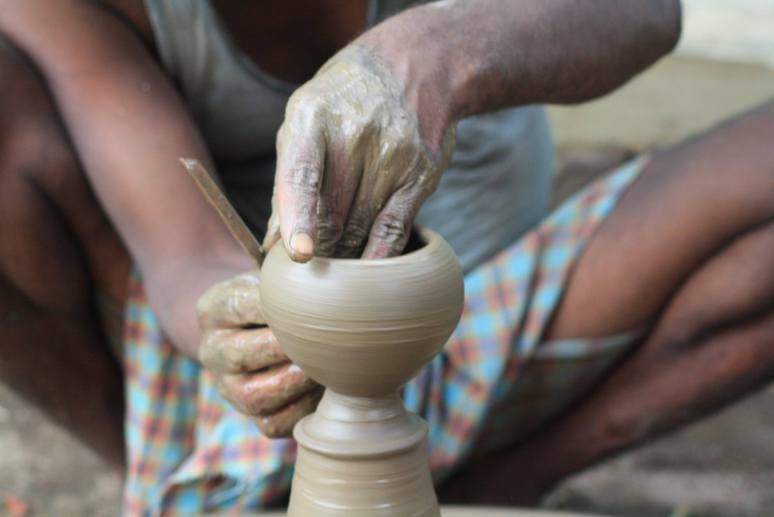 One such experience was connecting with the artisans of Khawasa village at Pench, Madhya Pradhesh! While the wildlife was one amazing experience in it’s own, I couldn’t help but forget the beautiful and brief interaction with one of the potters at that village. 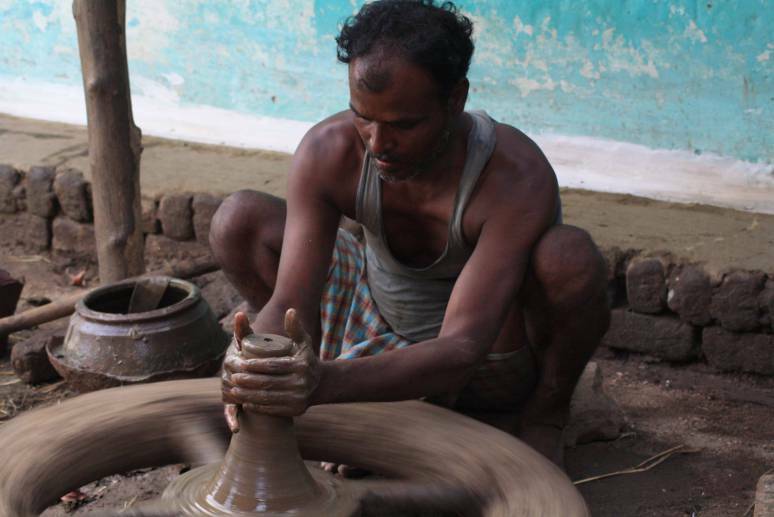 Tukaram Gonde, who is an ancestral potter and makes his living through crafting one of the best artworks, it is sad, to see very little appreciation as a whole for people in this village. To me, that experience was more than just enriching, it was something that told me a lot about how this trade has become what it has. 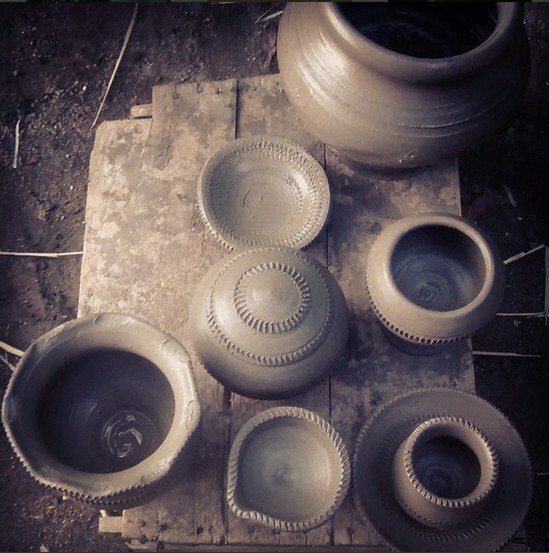 It is something that we always tend to overlook, while we buy these products for our festivals and daily use maybe, there’s a lot more than just the mold, the earthen flair and the technique that these amazing folks use. To me, this travel experience gave an insight on a story that is beyond just pottery, art and craft of the trade. It is more than just a story about his life, his words, his family. It is something that he understands as a philosophy as an ingrained belief, as an experience that has transcended upon him in a form of that art. The same art that, maybe his father, his grandfather or forefathers cherished and groomed him for. This story is more about that deep rooted belief in what he did. He had an uncanny smile, a belief that told us how he was the master of his fate and captain of his destiny, in the great words of none other than Madiba. While the experience wasn’t for many hours or even for that matter, it was something we cherished because of the quality of the craft and the beauty of the handiwork we saw within those minutes and closely observed a level of concentration, ease and amazing tendency to be a professional who doesn’t just work because he has to, but loves what he does. An experience that gave us an insight on how the rugged and unkempt life brought out the true artist within these folks. How, their life, despite it’s simplicity had a complex aura to a brilliant mind of sorts. One that you don’t often get to see in the life that we choose to live in. 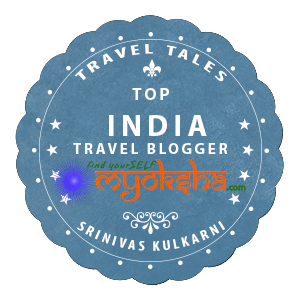 This entry was posted in Travelogues, Stories and Life and tagged Art, Artisan, Artist, India, Madhya Prdahesh, Pench, Pottery, Travel, Travel Blogger, Travel Blogger India on March 4, 2015 by srinistuff.